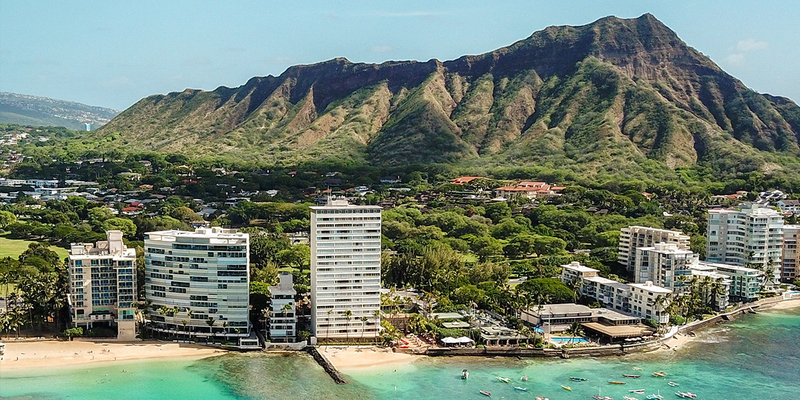 Forget relying on whatever your hotel has on offer—toting along your own travel crib can make the difference between an awesome vacation and one where your kid is up all night. And trust us, we know from experience that changes in routine and location can wreak havoc on even the most angelic sleepers. We’ve listed out eight portable cribs that provide the in ultimate safety and comfort to tots and toddlers, and to their exhausted parents once their child has (finally!) fallen asleep. Looking for a way to have your little one right next to your hotel bed? The Chicco Lullago Travel Crib sets up quickly with snap-on legs, folds flat, and stores easily in its included carry-on shoulder bag. The lightweight crib has breathable mesh on two sides, a side pocket to store middle-of-the-night essentials, and a removable, machine-washable mattress cover for the inevitable diaper explosions that are part of every parent’s vacation. The crib is also super easy to move from room to room. Need a travel bed that works great in multiple environments? 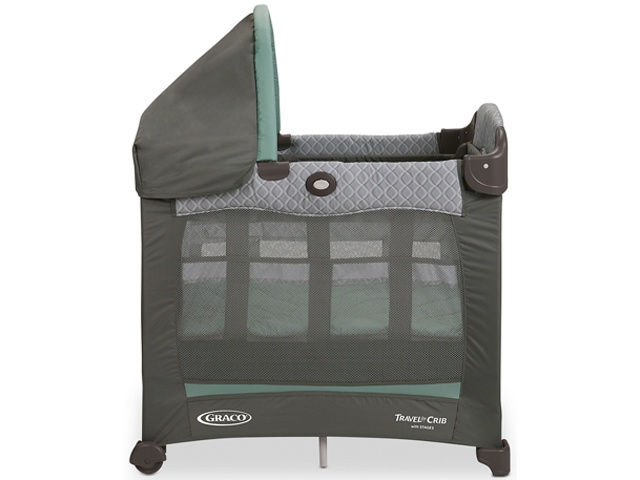 Graco’s lightweight and spacious Pack ‘N Play Jetsetter Playard is it. This guy slips into a carry-on sized backpack for easy-peasy plane travel. It sets up fast with the push of a button, and it has a domed canopy offering full shade for siestas or playtime at the beach for children under 35 inches tall. 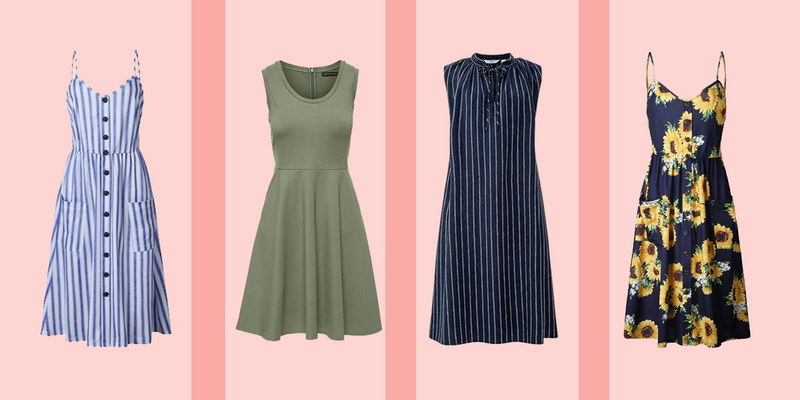 Airy mesh sides can bring in those sea breezes to keep baby cool. The comfy removable bassinet for babies under 15 pounds features two vibration patterns to lull your little one to sleep. If you’re already schlepping around a ton of baby equipment, your poor back will thank you for choosing the BabyBjorn Travel Crib Light, which weighs just 13 pounds (less than most 6-month-olds!). Featuring a soft, insulated mattress with a machine-washable cover, the crib also unfolds automatically. 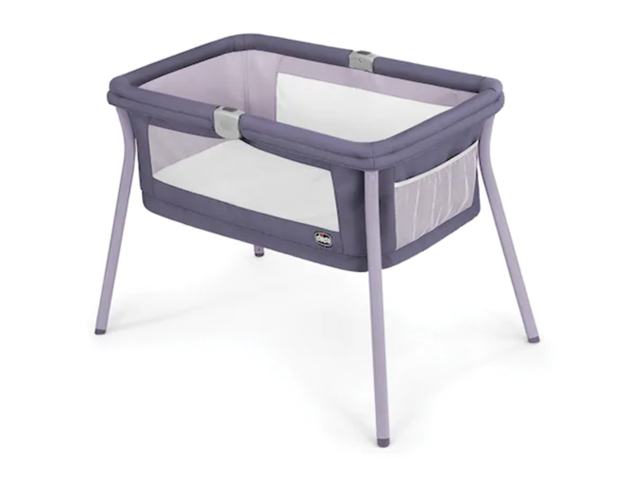 Padded fabric along the top, extra-large ventilated mesh panels (great for visibility when watching your child), and angled legs for stability make this crib ideal for infants and children up to 3 years old. Sure, several portable cribs on the market include a bassinet. 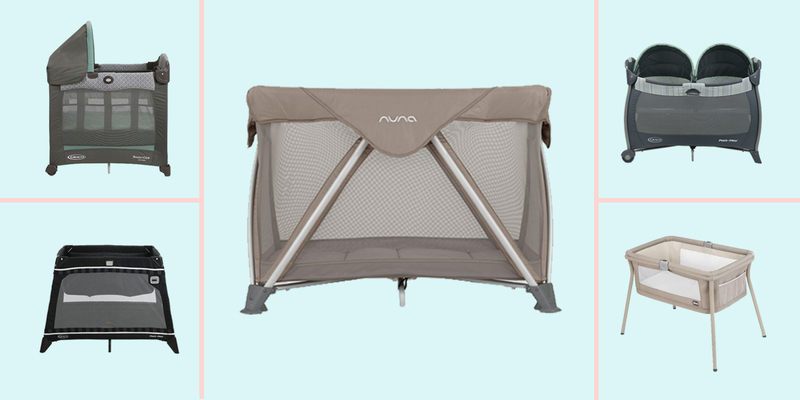 But the award-winning, Dutch-designed Nuna Sena Aire Travel Crib has a bassinet that folds together with the aluminum frame, so there’s no additional wrangling. That’s all set on eight legs with skid-proof feet for extra security. You can also adjust the crib’s mattress to half its normal depth within the crib, which makes lowering an already-asleep baby easier. This crib is also a looker, with a sleek, modern silhouette, plus mesh sides and a ventilated mattress with a removable cover that can be chucked into the washing machine. It also includes a sheet made of organic cotton that’s secured to the mattress with Velcro. If you don’t need the playard aspect of a travel crib, consider this little dynamo. 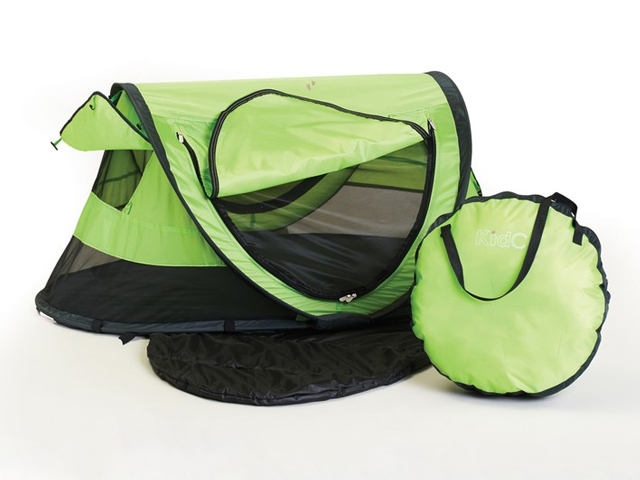 The colorful cocoon-style KidCo PeaPod Plus Infant Travel Bed is a great lightweight choice for children up to 5 years old. Because it weighs just 3.5 pounds, this sleeper folds up into its included tote bag or a corner of your suitcase. It looks like a mini pup tent, offers UV protection, and can be anchored to a bed or to the ground if you’re on a camping trip. For parents who’d like to invest just the once (and not with every growth spurt), the space-saving Graco Travel Lite Crib with Stages is a practical choice with its adjustable bassinet. The stage-one bassinet works until your infant weighs 15 pounds; stage two’s setting is suitable until your baby can push up on her hands and knees and weighs 20 pounds; and stage three works for kids up to 35 inches tall. This compact crib features a plush quilted mattress, a canopy to shield baby from the sun, and a roomy playard with a toy bar. Small wheels on one side make this model simple to scoot around a hotel room. 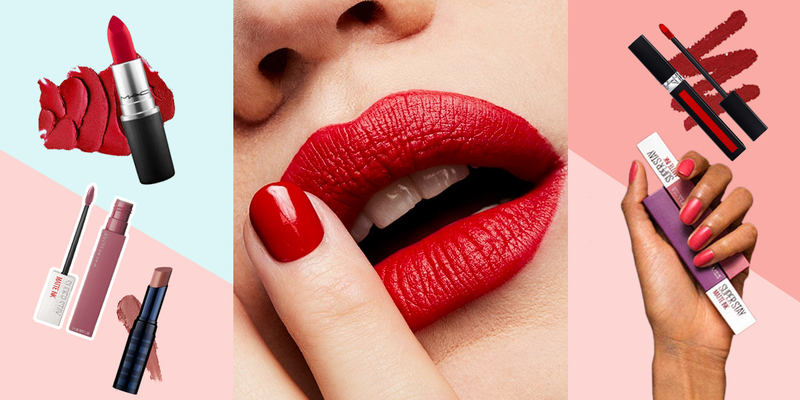 When you have twice the fun on your hands, you need as many double-duty options as possible. Graco's Pack 'n Play Playard with Twins Bassinet offers two quilted infant bassinets with domed canopies so you can pack a single bed and keep the babies together. As your twins grow, the bassinets can be removed so they can hang out in the portable playard. With mesh sides, a handy squeeze latch for folding, and wheels that make transportation a cinch, the Graco is built for travel. The bassinet feature is recommended for babies under 15 pounds, while the playard can be used until your kids are 35 inches tall (or figure out how to escape).